How much does a gaming chair cost? When people are looking for a new gaming chair they often don't know how much they should pay for it. In this article I will show you examples of good cheap gaming chairs but also these more expensive ones. Good chair for gamers doesn't have to look like racing seat. There's many good office chairs with great ergonomic shape which support your lumbar and neck. I know that. But probably you already know that you'd prefer "real" gaming chair so I will focus only on them. 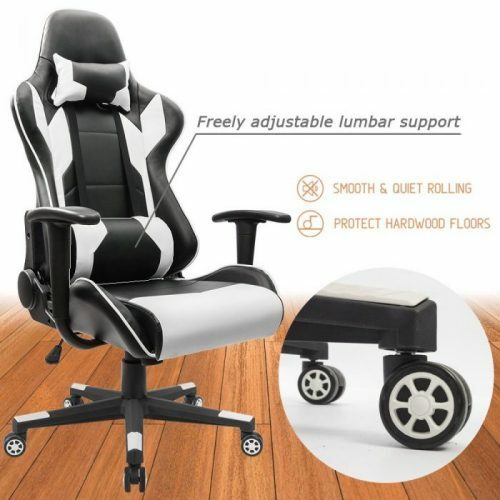 Homall Chair is one of cheap gaming chairs which are both budget and has all necessary features like lumbar and neck support, 360 degree swivel and much more. Chair has multi-direction wheels which move smoothly on your floor. It has also quite solid base. Leather material could be better but for this price you can't expect too much. This XRocker gaming chair is for people who like to play on consoles like Playstation 4 or Xbox One. Rocker chairs has 2.0 speakers with subwoofer which change your gaming sessions to amazing experience. Chair has ergonomic shape and 360 swivel pedestal. 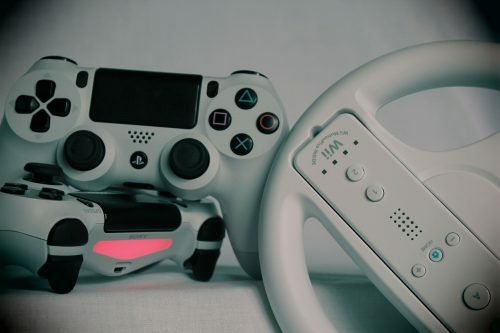 You can connect it with your console without any problems. Price is average, under $200. DXRacer is probably most popular brand in gaming chairs world. Price of their chairs starts from $200 and most expensive models are even $400 worth. In this example you can see Racing Series which is designed for average body people. Price of any DXRacer model is based mainly on size - heavier people need sturdier base and better wheels. Also height and size of chair is bigger in more expensive chairs (like for example DXRacer Tank Series). Compared with first chair DXRacer has adjustable armrests, better and more solid base and better ratings among gamers. As you can see there's many good chairs - both budget gaming chairs and these more expensive. 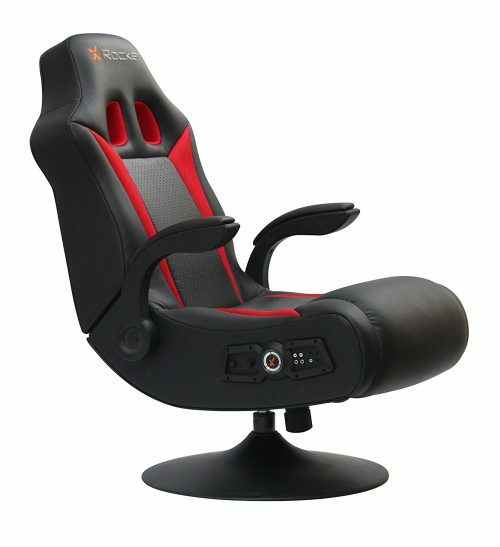 Price range is very wide - from $100 to even $500 or $800 for chair (Vertagear brand have chairs which are even over $800!). It's up to you which one you will buy and of course which budget you have. 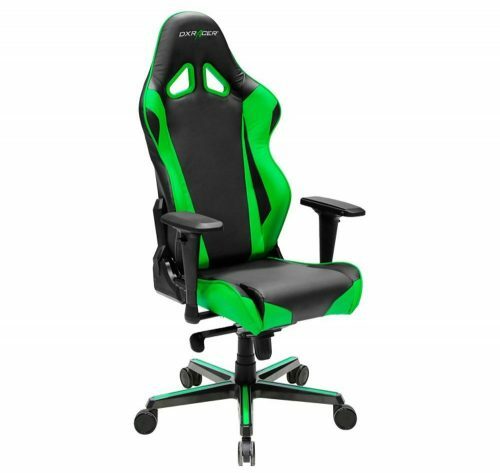 What Should Have a Good But Cheap Gaming Chair? These times a lot of gamers actually work as a gamer. This is why they need the best keyboards, mouses, gaming chairs to play - they want to be the best. But a lot of people don't really need that expensive things. Many more gamers just do it for fun and they are looking for cheap gaming chair to play with comfort. That's why I created this quick guide. You will find here most important features of good gaming chair which also will be quite cheap. In this article I will focus on inexpensive gaming chairs for PC, so you won't find here rocker gaming chairs. Maybe next time I will describe them. For me, this is most important feature of good chair for gaming. It's not coincidence that all DXRacer or AKRacing chair have pillow for neck and lumbar. When you play it's easy to forgot about proper ergonomic of body. Thanks to this pillows you will be much safer and your body will be in natural position. Ergonomic shape is base of every chair. When you are looking for good and cheap chair for PC take a look on the shape of the backseat of the chair. You will probably recognize without any problems if it's good or bad (should has nice profiled shape). Adjustable arm rests are very important because thanks to them your shoulders are relaxed. Very often desks have different height and if you have arms which you can adjust then you're the winner (or actually your shoulders are). It's pretty obvious but I had to mention about it. Every good chair for play or work should have adjustable height. Cheaper gaming chairs could have a little worst materials but it's still important to have a chair with good, quality elements. PU leather is fine but also check material of wheels, armrests etc. When a lot of people think about gaming chair they think about DXRacer chair. It's normal because this is probably most popular company which produce gaming chairs. That's why my favorite affordable gaming chair is Merax Gaming Chair! This chair is very close to DXRacer, even in design. It has pillows for both neck and lumbar, adjustable armrests and quality materials. Of course you can't expect the same quality as DXRacer but if your budget is limited this is perfect option for you. 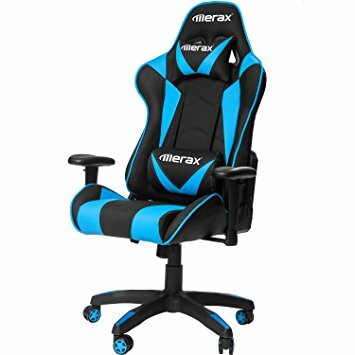 Merax gaming chair has all necessary features which I described above. But if you maybe want something different remember about all these things. 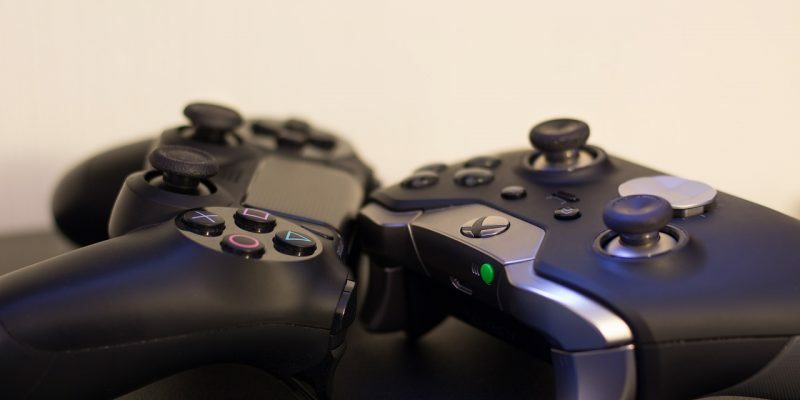 Hope this article will help you and speak to you soon with Rocker gaming chairs! Burn calories faster (three weeks before beach)! It’s almost middle of the summer so you probably want to look good on the beach. To be fair - it’s impossible to gain muscles and get six-pack in let’s say three, four weeks but you definitely can do something good for your body before you will take your shirt off on the beach. Of course it all depends on how you look now. If you have big belly and over 20% of body fat you can lose more weight faster (and healthier)! How to choose office chair? Ok, so you need new chair and don't know what which one would be good for you? It is said that 70% of people work in sitting position, rarely leaving the desk to stretch or relax the muscles. After work we also spend a lot of time sitting in front of the computer. It means that we spend at least one third of the day sitting. It may cause serious back problem, spine pain or other diseases. Therefore it is very important to choose appropriate chair at work and at home. Many people don't know how to choose suitable and cheap office chair and what features it should have. That's why they often focus on the price or technical specifications. But only few people know what effect this chair will have on their health. 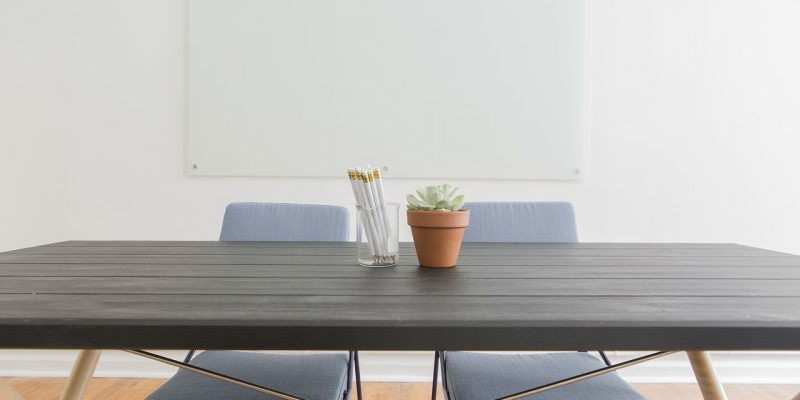 An appropriate chair can solve back problems and reduce back pain, but if the chair isn't chosen properly, it can cause or exacerbate spinal pain. If you want to choose good product you should consider this list with best office chair under 200 which have ergonomic shape and most necessary features. If you work eight hours a day and spend most of the time sitting at the desk, choosing proper office chair has a great importance to your spine and health. Office chair should be not only comfortable, but also adjustable and properly chosen for your back. If you suffer from spinal diseases or back pain or if you are pregnant, you should choose an office chair even more carefully. Hello everyone! My name is Dorian and it's my blog. 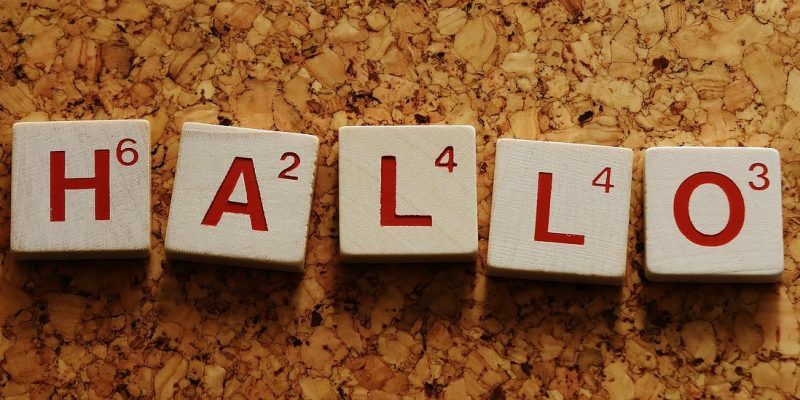 I write here about everything I like. I'm big fan of sport, especially football so you can be sure you will find here some posts about Premier League, Champions League and more. I'm also interested in all gadgets, technology things, computers. I think I will review soon some computer or office gadgets so keep in touch! Dorian. Copyright © 2019 SportFejm. All Rights Reserved.